On the desktop side of the ASUS announcement are the ROG Strix GL12 and the ROG Huracan PCs that traditionally wed performance and unconventional style. 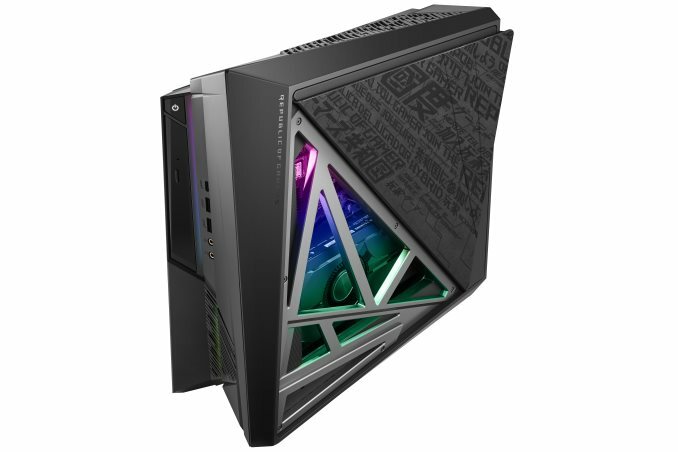 The former comes in mid-tower chassis and can offer factory overclocking of its CPU, whereas the latter is a small form-factor machine featuring an asymmetric avant-garde enclosure outfitted with Aura RGB lighting effects for customization by the end user. On the notebook side of things there are several very interesting products too. ASUS updated its flagship ROG G703 “Chimera” laptop with an IPS-type display panel featuring a 3 ms response time and Intel’s six-core Core i9-8950HK CPU. In addition, the company launched its all-new ultra-thin ROG Zephyrus M laptop powered by Intel’s six-core Core i7-8750H as well as NVIDIA’s GeForce GTX 1070 GPU running at full speed, a rare feature for a sub-2 cm design. 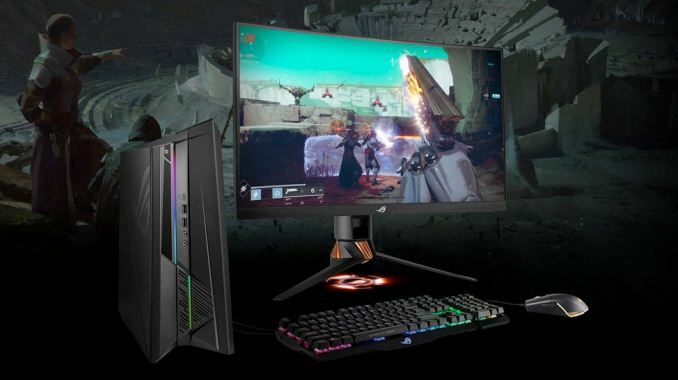 Besides, the company also introduced its ROG Strix Hero and ROG Strix SCAR Edition laptops with quad- and six-core processors and discrete graphics that start at $1099. We are going to start with the revamped ROG Chimera as no matter how hard it was to take a unique system and make it better (an even more exclusive), ASUS has managed to do it. Here we see Nvidia GPP in full efect. That's old pre-GPP page and they haven't updated the page yet. On new stock they removed the ROG branding. Going Nvidia-only in mobile might be understandable, but their desktop line? Especially when they have offered ROG desktops in the past with both AMD and Nvidia GPUs of the 1080 class?